Majors Home Improvement is one of the top window companies serving the Destin, Florida, area, and we’ll be pleased to improve the look and feel of your home with new vinyl windows. No matter if you need new windows because your current ones are an eyesore, broken, or not energy efficient enough, we can help. We offer relaxed and informative design consultations that are aimed at educating you about your window options, not selling you on a certain type of window. What’s more, during your consultation, we’ll provide you with an honest quote and encourage you to seek out comparison quotes for this project. We do this because we are so confident that other window companies around the Destin, FL, area cannot compete with our level of service, expertise, and value. Additionally, you’ll be able to further customize your new vinyl windows with exterior colors, interior woodgrain finishes, hardware options, and grid and glass designs. Our design experts will be pleased to help you select the options that will complement your home the best. What’s more, at Majors, we back our windows with a double lifetime warranty. This exclusive protection is offered by only a handful of window companies in the area, setting us apart as a company that fully stands behind its work and windows. 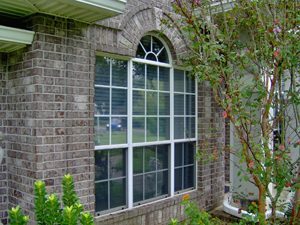 Contact Majors Home Improvement to learn more about the vinyl windows we install in Destin, FL. We’re honored to be one of the leading window companies for area homeowners.